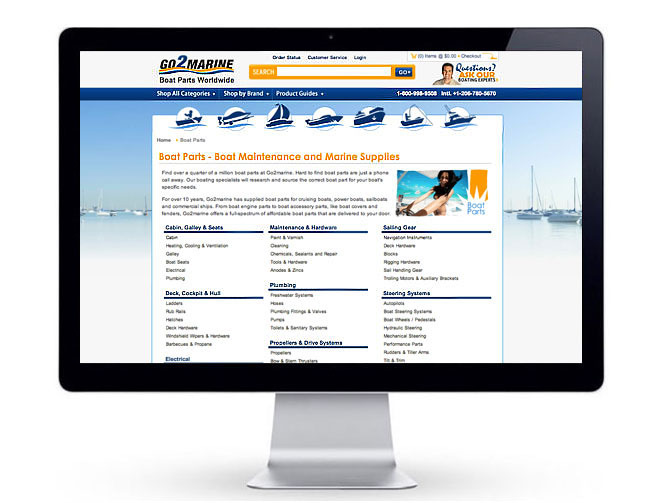 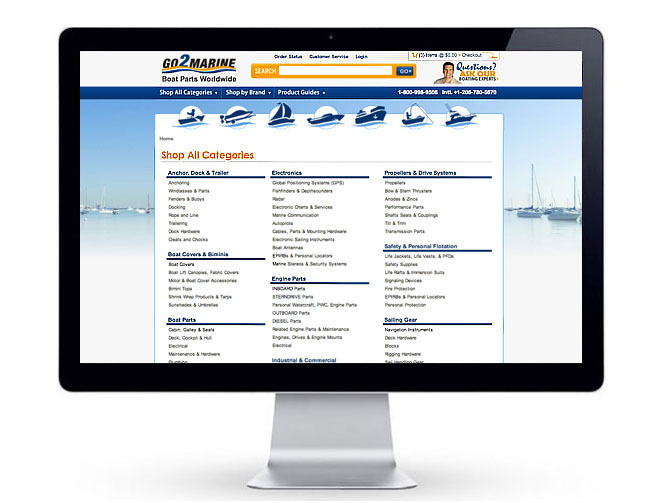 Mission: Increase search engine visibility, user engagement, conversions and brand allegiance for an after-market boat parts supplier with over half-a-million SKU's. 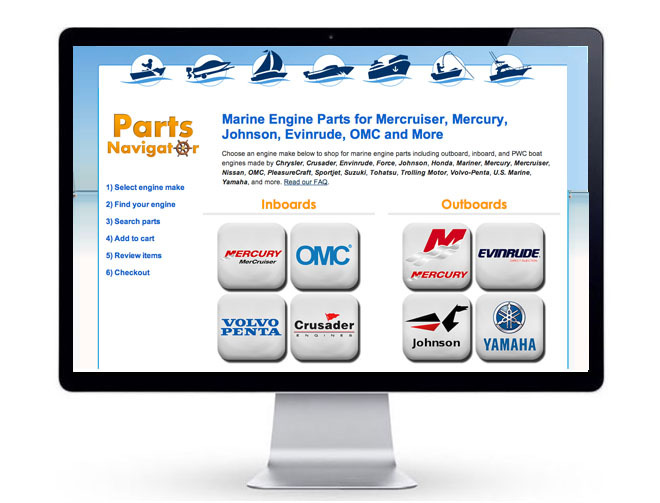 Key Insight: Exposing hundreds of thousands of SKU's, including parts specifications, cutaway images and even MIL specs to the search engine corpus requires a staged and optimized product feed with the digital dexterity to update inventory status, pricing, and promotional details on a round-the-clock basis. 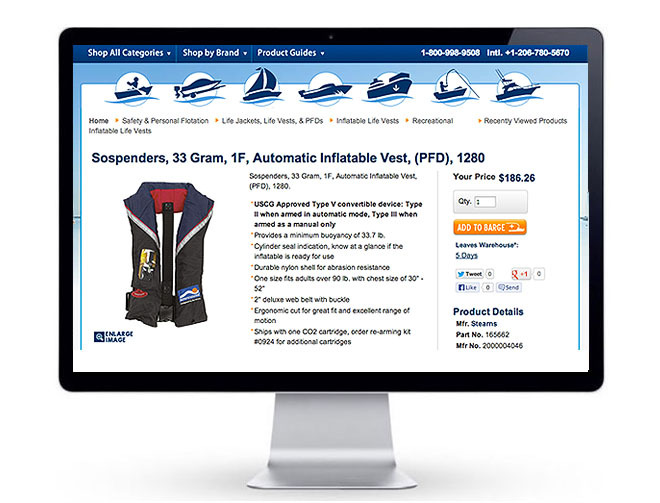 After a customer has made a purchase, inviting them to opt-in to an RSS feed of related new product additions, extensions and price changes keeps the product-customer connection alive.